Charley and the Eighth Doctor take turns bewildering a young lieutenant assigned to interrogate them. The result is Lewis Carroll meets Doctor Who, with a very tired soldier playing the part of Alice, and the Doctor and Charley bedeviling him like the Mad Hatter and the Cheshire Cat. All he wants to know is how and why they managed to infiltrate an airbase. Unfortunately, every single thing they are telling him is daft. Their costumes, their equipment, and their place of origin are preposterous. It would be so easy to dismiss them as lunatics. There’s just one problem. He has already seen evidence that corroborates part of their story. Which raises the alarming possibility that they might just be telling the truth. 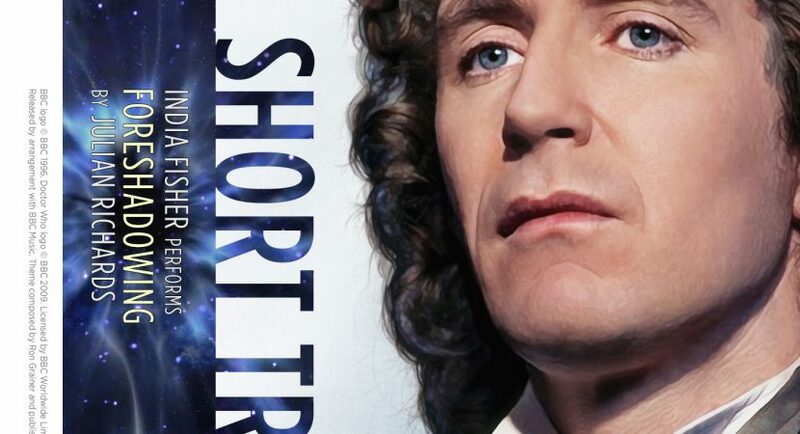 This Short Trip is a nostalgic look back at the Eighth Doctor and Charley during their innocent, happy days before Neverland. India Fisher sounds like she’s having as much fun telling the story as Charley and the Doctor are. She recaptures their old magic perfectly. It’s a classic little adventure with a monster to vanquish. And there’s a great twist near the end. The only tiny blemish in an otherwise perfect story is its peculiar subliminal incidental music, half Twilight Zone, half acid trip music box. I’m sure the effect is meant to evoke the lieutenant’s bemused state of mind, but I thought my iPad had gone dotty and was playing music from another app. However, I was mostly too spellbound by the story to notice. If you’re looking for a fun Short Trip or a lighthearted Doctor Who story, I highly recommend this one. Especially if you know the UNIT era.